Orthodox Tabernacle no.9a - Istok Church Supplies Corp. 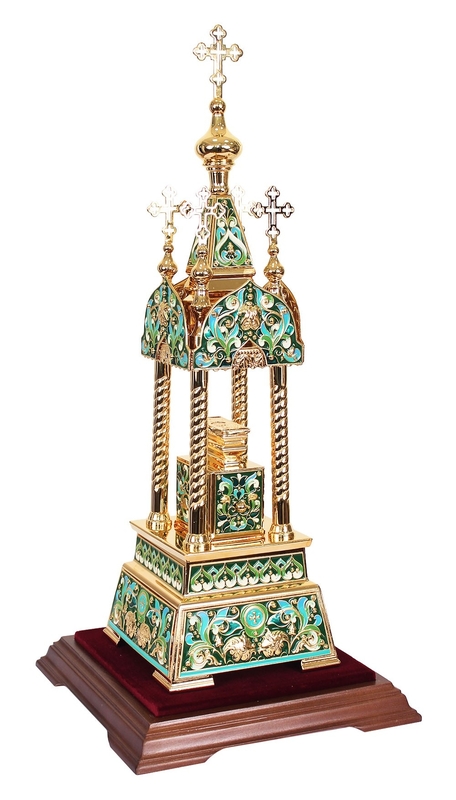 Traditional Orthodox Christian tabernacle. Brass, gold-gilding, enamel, hand-painting. Excellent Slavic-made product. Size: 1.0''x1.0''x2.4'' (26.5x26.5x60 mm). Weight: 2.8 oz. (80 g).